A 1.1-trillion-ton iceberg has calved off Antarctica, into the Southern Ocean. The block of ice is nearly the size of the Melbourne metropolitan area and nearly 20 times the volume of Port Phillip Bay – or nearly 1000 Sydney Harbours. 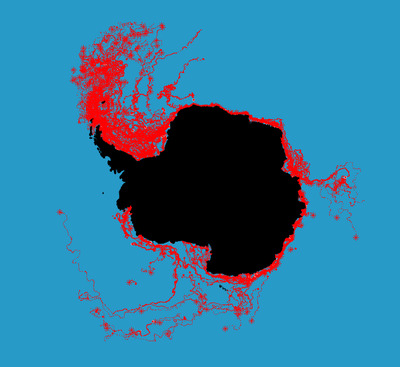 Scientists aren’t sure where it will go, but Business Insider mapped all known iceberg paths from 1999-2016 to see where it may float. Antarctica has birthed one of the largest icebergs ever recorded, scientists announced Wednesday morning. 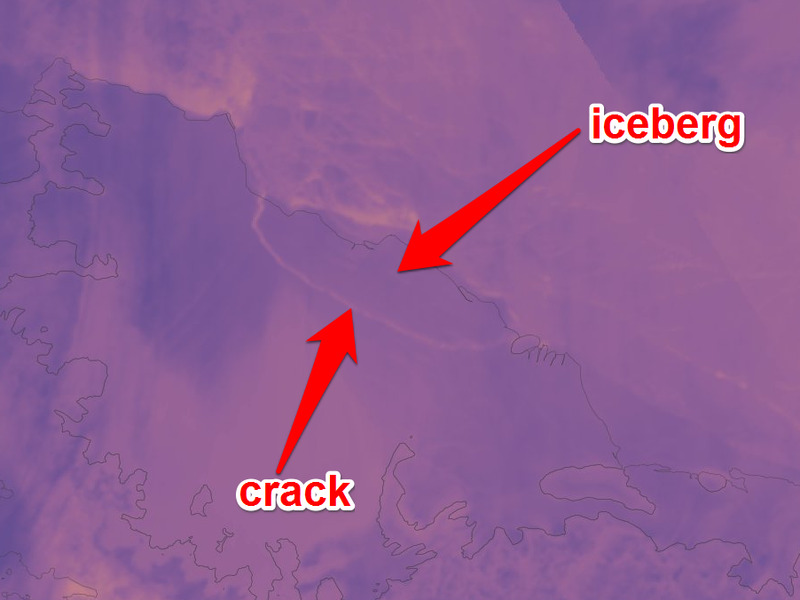 A crack in an Antarctica’s Larsen C ice shelf calved the colossal new iceberg, which is roughly the area of Delaware state and more than double the volume of Lake Erie. Researchers first noticed the rift in Antarctica’s ice in 2010, but it had been growing rapidly since 2016. The iceberg calved between July 10 and July 12, researchers said. 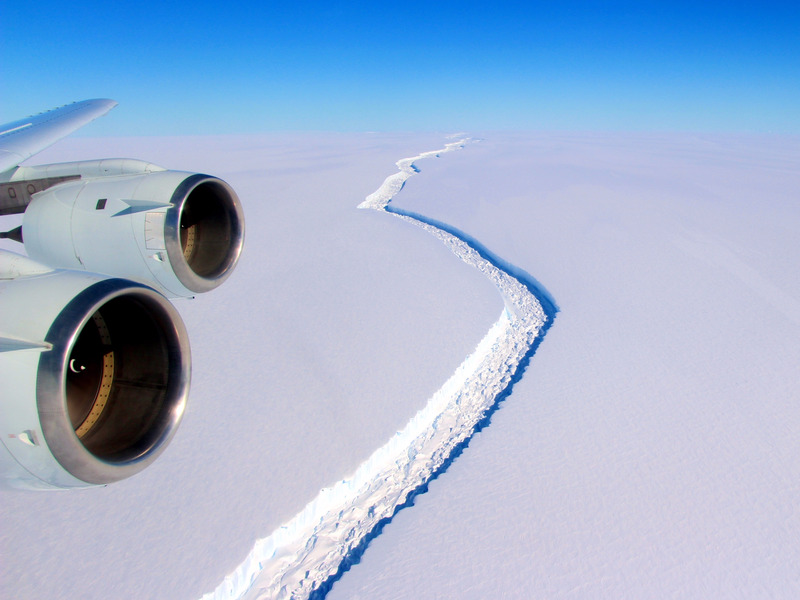 “The iceberg weighs more than a trillion tonnes,” Adrian Luckman and Martin O’Leary, two glaciologists at Swansea University, wrote in a July 12 blog post for the MIDAS Project, which has been monitoring the ice. Luckman and O’Leary said the iceberg will probably be named “A68,” and that it’s one of the largest ever recorded — possibly the third-largest iceberg since satellite measurements began, according The Antarctic Report. However, Luckman said its enormous size makes its fate tough to predict. Those islands lie more than 1,000 miles away from the Larsen C ice shelf in Antarctica. To see which paths the iceberg will be most likely to take, Business Insider reached out to David G. Long of Brigham Young University, who works on a data project that tracks all recorded icebergs. The database goes back to 1978 with some gaps, Long wrote in an email, but is continuous from 1999 to today. 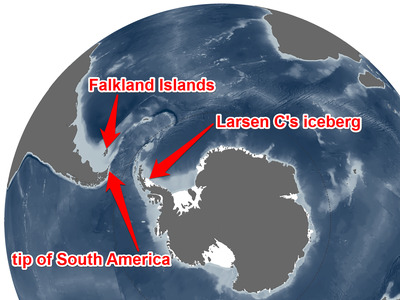 As the illustration shows, many icebergs that break off the Antarctic Peninsula drift north and east of that location. 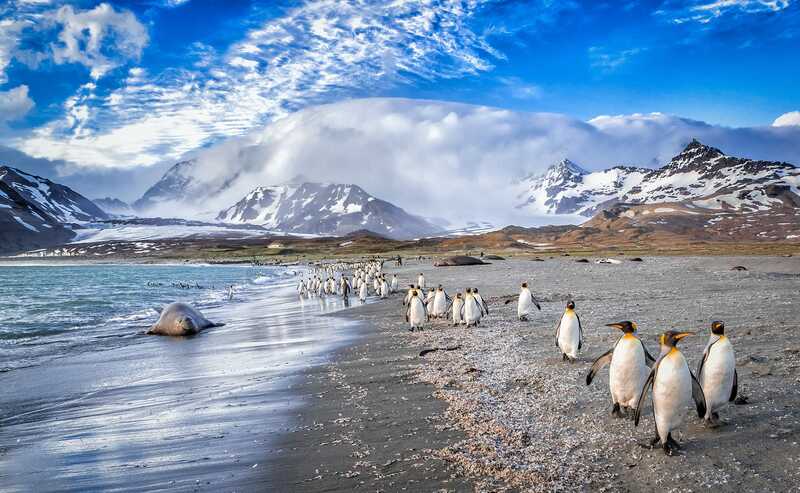 Few are large enough to stay intact until they reach the warmer waters of the Falkland Islands, but many reach the South Georgia and South Sandwich Islands, which lie farther east. ShutterstockSt. Andrews Bay on South Georgia Island. Wherever iceberg A68 wanders, warmer ocean waters north of Antarctica will eventually melt it away. To learn more about Antarctica’s gigantic iceberg, read our full story about its calving. Satellite image of a long crack in the Larsen C ice shelf, taken on March 8, 2017, by the Operational Land Imager on the NASA/USGS Landsat 8 spacecraft.